It can be hard to make masculine looking cards. This stamp makes it easy to make masculine birthday cards! 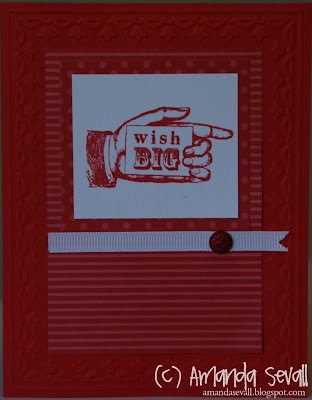 This card was inspired by LeeAnn Greff's fabulous card! Thanks for the inspiration LeeAnn!